Well today was Mother's Day and I was treated to lots of yummy delights. 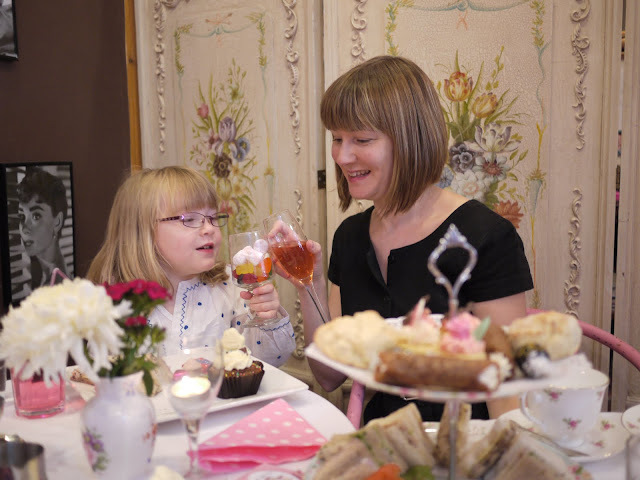 For lunch Kim and the girls took me to Just Tickled Pink for a Mother's Day High Tea. 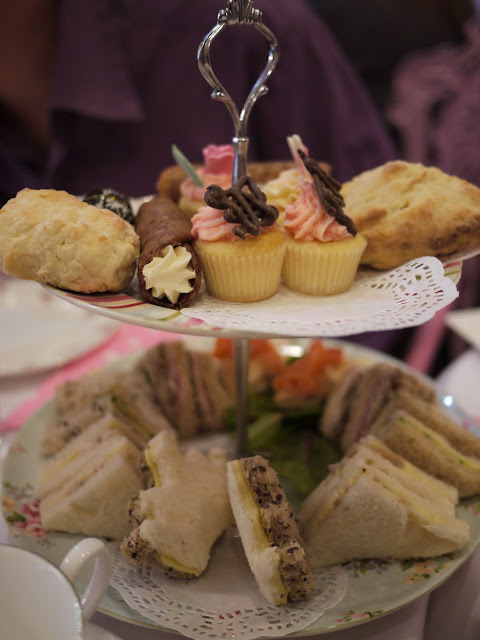 Lots of little sandwiches with the crusts cut off, shots of soup, tiny cupcakes, scones with jam and cream, brandy snaps, chocolates, champagne and, of course, tea. 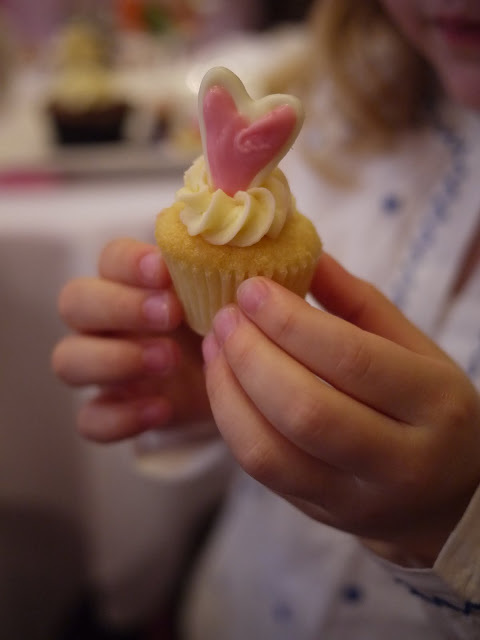 Ava was treated to a special "Princess Tea" for little ladies, with sandwiches cut in the shape of crowns, a Freddo Frog cupcake, chocolates, a wine glass full of lollies and a glass of pink lemonade. Unfortunately (or fortunately depending on which way you look at it) Ava doesn't like fizzy drinks and wasn't even tempted by the pink colour to try the lemonade. Princess Sandwich? What a lovely crown! 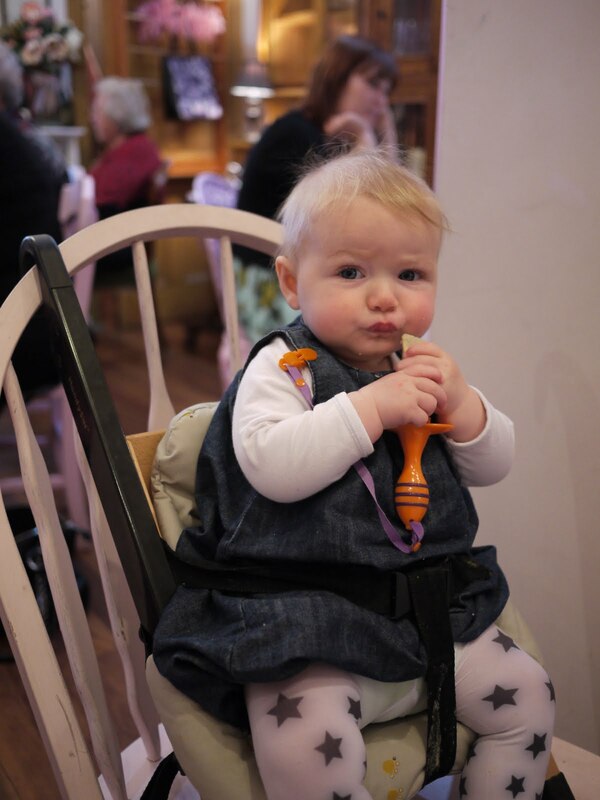 Lola was pretty happy sitting up at the table in her Handy Sitt eating a rusk! 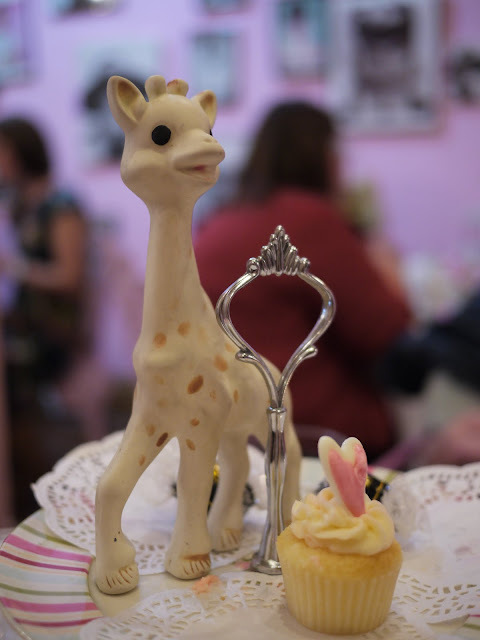 Not quite as fancy as high tea but she seemed to enjoy it! As usual Lola spent her time trying to get the attention of strangers sitting at other tables. Being the only baby in the cafe she was pretty successful at this and the other diners were treated to big gummy smiles - until it all got a bit much and Lola fell asleep! 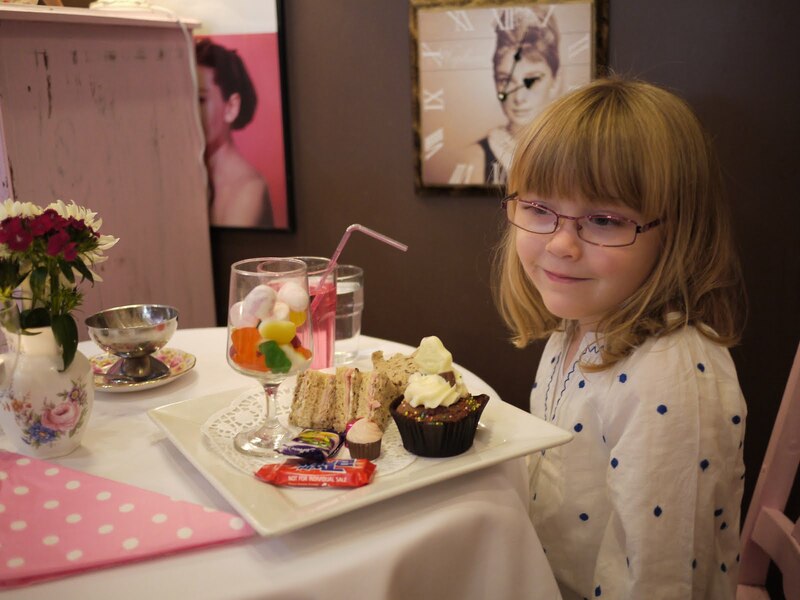 Sophie has High Tea too! 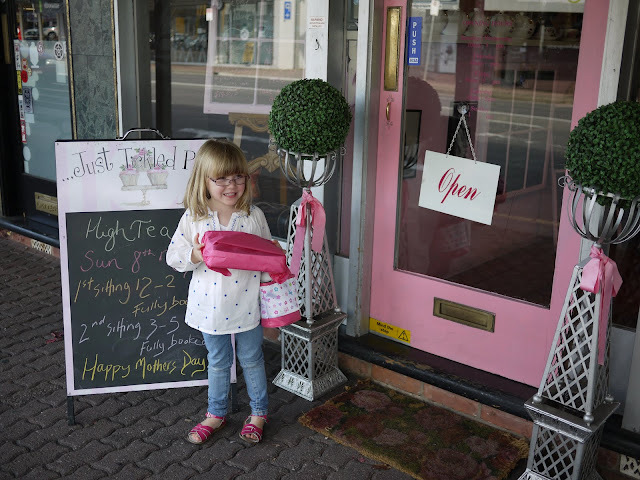 There was so much food that Ava took home a doggy bag - wrapped in pink, of course! 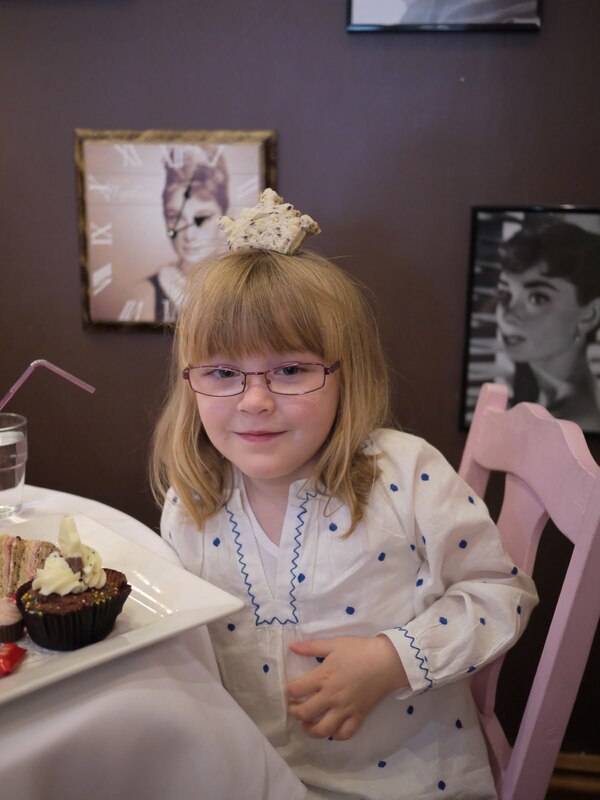 After our high tea there were more treats in store in the way of delicious macarons from The Mac Factory. 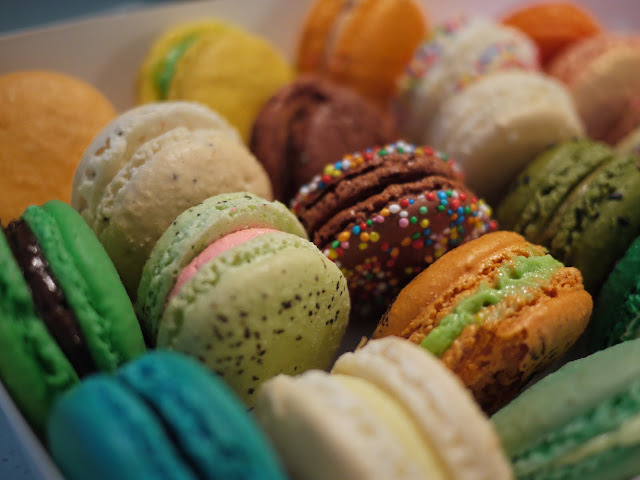 Mmm... macarons. What's not to love about macarons? The colours, the amazing range of flavours. They're just so delicate and sweet. I'm trying not to eat too many at once (I think I've definitely had my sugar fill for today) so there are still quite a few left in the box. More macarons for tomorrow :) I'm not sure of all the flavours in the box but so far my favourite has been a basil flavour. Sweet and fresh. Yum! 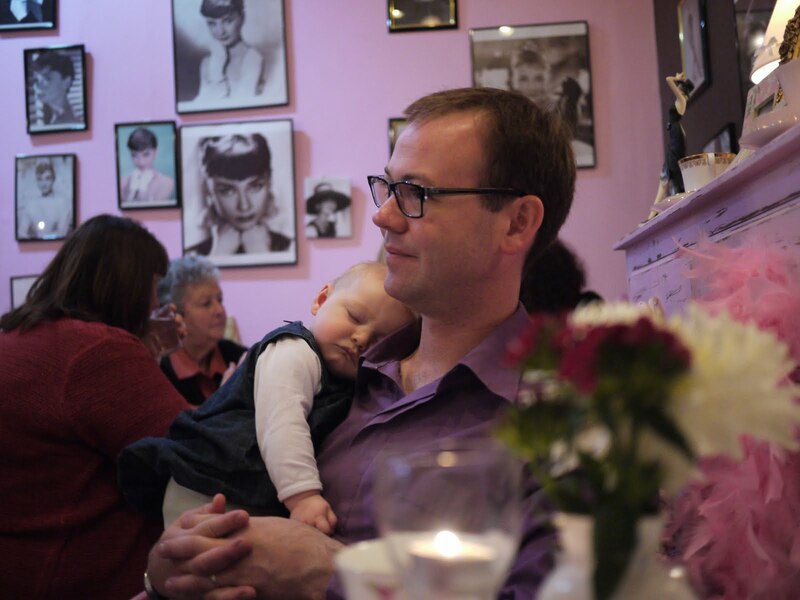 I hope all the mums out there had a lovely day and were spoiled rotten. You deserve it!